Entire League Of Legends Team Disqualified For, Yes, "Toxic Behaviour"
The crackdown continues. 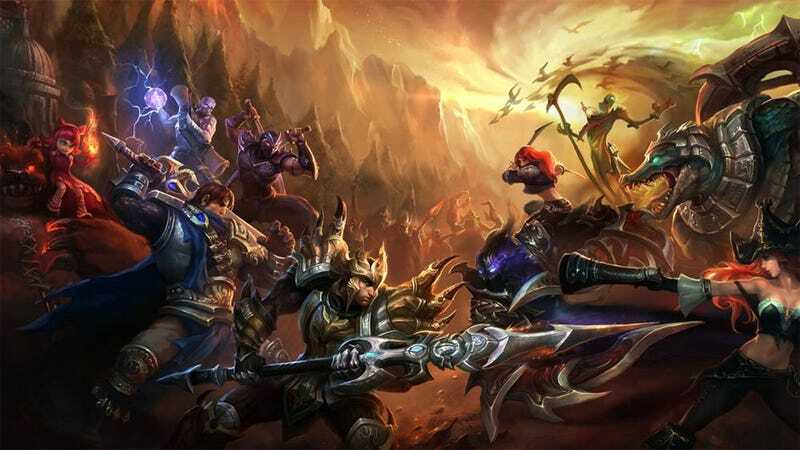 League of Legends developers Riot have banned three more e-sports hopefuls from the game, this time only days away from a LoL Championship Series qualifying event in Poland. More League of Legends Players Banned For "Toxic Behaviour"
The three players—Khaled Abusagr, Nicolaj Jensen & Simon Näslund—were all banned having repeatedly been suspended for poor behaviour (such as verbal abuse), while Jensen has even been caught launching DDOS attacks against competitors. Absugar: Abusagr has fully violated every part of the Summoner's Code. Jensen: Jensen has violated the Summoner's Code in a persistent and remorseless fashion. Näslund: Näslund has violated the Summoner's Code in a persistent and unapologetic fashion. All three are on the same e-sports side, Team Solo Mebdi, so as a result of the timing, scale and severity of the actions of so many of its members, the entire team has been disqualified from the event. "Of course, nobody wants to take actions like these so close to a tournament event," Riot's tribunal writes, "but it takes time to carefully investigate, review and uncover all of the relevant historical facts of players (especially when they've operated under multiple banned accounts), and we never make decisions like these lightly." "As always, one of our top goals is to ensure that players seeking to compete in the LCS represent the principles of good sportsmanship and clean play." Näslund's account has been suspended for 12 months, while the other two have been suspended "indefinitely." On the one hand, it's great Riot are taking such drastic action against the kind of behaviour that turns people off the game, but on the other, boy, it's showing there's some institutionalised awfulness if so many prominent players are being banned for such serious violations.